Today, we will look at an example of an Internet product with Non-negative Visual Flow, representing a Layout value of +0.3. Visual Flow describes the path that the users’ eyes take within a product. Here, like other variables within the evaluation of Layout, the resultant assessment of a product’s Visual Flow is guided by such things as color and contrast, spacing and grouping, numbering and directional indicators. The better the Visual Flow of a product the more intuitive and natural the experience feels and the more consistently (decreased chance of variation, variable decision branching) the path followed will be repeated on subsequent uses and visits. Understanding and acknowledging that Visual Flow fills a full spectrum of quality from ‘horrible’ to ‘awesome’ is important. Quick-UX calls for simplicity and rapidity of User Experience calculation. For the quick assessment of Visual Flow within the Quick-UX framework, the most important aspect of the evaluation of this variable is confirming that the product at least presents a Non-negative Visual Flow, non-harmful to the User Experience and Desirability. 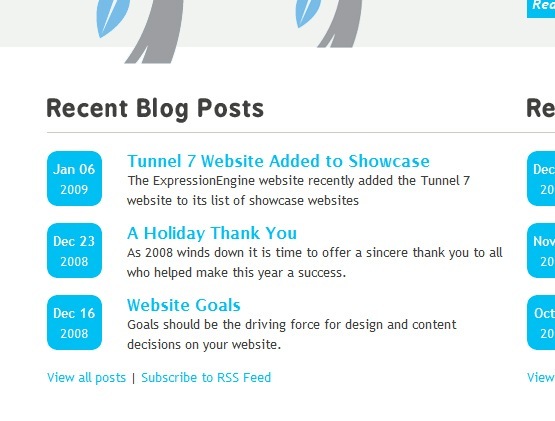 Tunnel 7 still represents a good example of a web product with a Non-negative Visual Flow. This web product demonstrates a very typical Visual Flow within a stratified structure. The starting point, where the user’s eyes begin the journey around the interface, is at the logo, in the upper-left — a very common starting point. 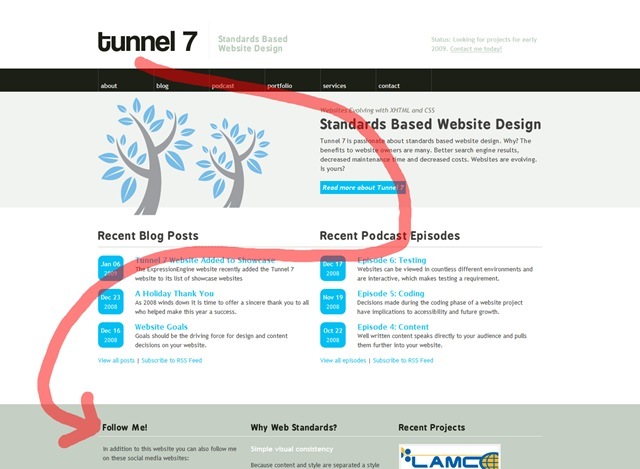 From here the flow moves to the right, carried by the strong emphasis (almost like a very bold underline of the logo/ brand) by the menu bar to the first stand-out content of the page, explaining exactly what is Tunnel 7. Notice how the flow is captured both visually and in the logical progression of the product marketing, from who to what. 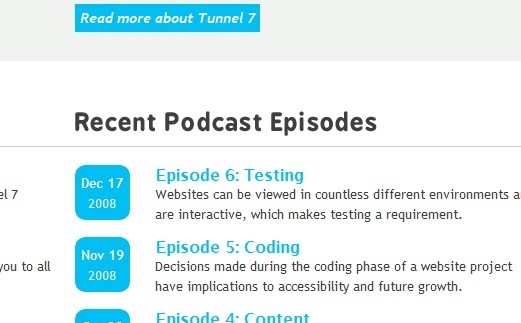 The Visual Flow then can be seen to move to the next layer of the design, guided by emphasis, color contrast, and correlated alignment (resulting in a visually heavier right side of page) to its previous neighbor within the Visual Flow – ‘Recent Podcast Episodes’. 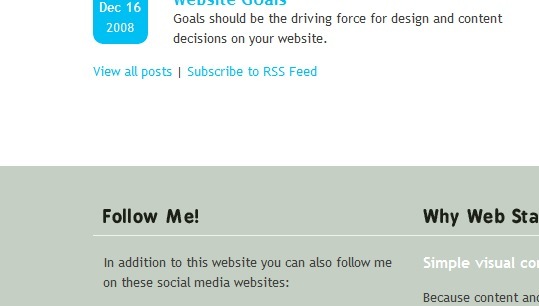 …before finally transitioning to the next layer, starting at ‘Follow Me’. 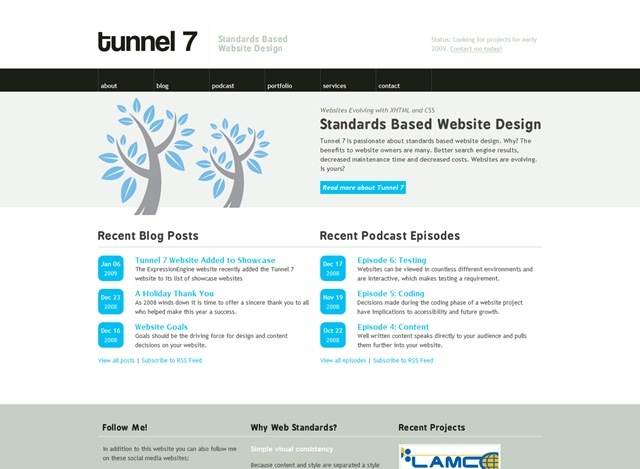 Tunnel 7 presents a very common, modern structure, with simple layering guiding the Non-negative Visual Flow of the page. In addition to the more basic elements of emphasis (bold text, dark colors, contrast) that shape the Visual Flow of the product, the messaging and marketing within, also guides and reinforces the perceived Visual Flow, from high-level information at the top, beginning with the product’s name / logo, and advancing to greater and greater detail as the user is guided from layer to subsequent lower layer, moving from an overview of Tunnel 7 to specifics on activities and methods of contact.